InterContinental Sanya Resort Awarded the "Best Bathroom, Best Spa, Best Hotel Design Resort of 2011" at the 31st annual Gold Key Awards for Excellence in Hospitality Design ceremony held in New York City. At the award ceremony of running through November 15 at New York City, The International Hotel, Motel + Restaurant Show (IHMRS) announced winners of the 31st annual Gold Key Awards for Excellence in Hospitality Design, Honorees were selected by a panel of industry experts from a field of more than 150 projects representing 24 countries. The InterContinental Sanya Resort was awarded Best Bathroom, Best Spa, and Best Hotel Design- Resort. The Awards are sponsored by Interior Design and HOTELS magazines with the 96th annual IHMRS. "It is our great honor that InterContinental Sanya Resort had been awarded as the ‘Best Bathroom, Best Spa, and Best Hotel Design- Resort" said Mr. Geoffrey Ryan, the General Manager of InterContinental Sanya Resort. "We are very happy that the industry experts, audiences, and the guests like our distinctive eco-friendly property design, superior facilities, friendly services and the incredible beautiful environment. The entire team of InterContinental Sanya Resort is committed to exceed our guests’ expectations. Opened in July 2010, InterContinental Sanya Resort occupies one of the most beautiful locations – Xiao Dong Hai in Sanya, surrounded by sandy beaches and green mountains, offers guests picturesque views from every room. Beautiful water features and water gardens throughout the Resort create a serene yet stylish ambience. The Resort offers 343 sea view rooms including 24 beachside villas & 12 executive suites, and guests can lounge in 5 swimming pools, dine in 8 restaurants and bars, unwind in our soothing SPA InterContinental or choose from 1 ballroom and 7 inspiring meeting rooms. 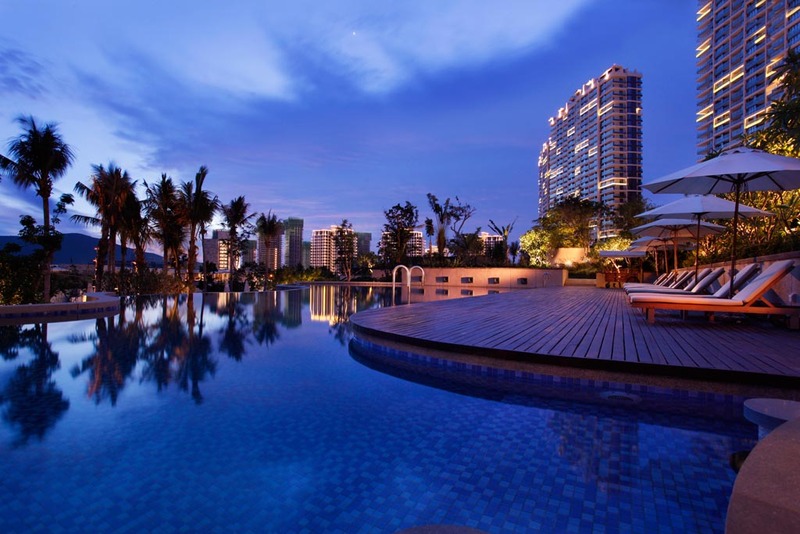 InterContinental Sanya Resort is owned by Luhuitou Tourist Area Development Co., Ltd. Sanya and managed by InterContinental Hotels Group, the world’s largest hotel group by number of rooms. For more information on InterContinental Sanya Resort and its facilities, please visit www.intercontinental.com/sanya or call 400 886 2255 for reservations. InterContinental Hotels Group (IHG) [LON:IHG, NYSE:IHG (ADRs)] is the world’s largest hotel group by number of rooms. IHG owns, manages, leases or franchises, through various subsidiaries, over 4,400 hotels and more than 645,000 guest rooms in over 100 countries and territories around the world. The Group owns a portfolio of well recognised and respected hotel brands including InterContinental Hotels and Resorts, Hotel Indigo, Crowne Plaza Hotels and Resorts, Holiday Inn Hotels and Resorts, Holiday Inn Express, Staybridge Suites and Candlewood Suites, and also manages the world’s largest hotel loyalty programme, Priority Club Rewards with 48 million members worldwide. IHG has nearly 1,400 hotels in its development pipeline, which will create 160,000 jobs worldwide over the next few years.